Property 4: Bring your toothbrush! Property 7: Siempre - Amazing Ocean views of Cabo San Lucas!!! 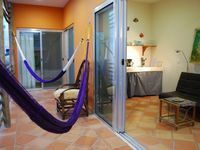 Property 8: New Eco Chic Condo 5 Minutes to the Beach, Mayan Ruins and Town. Ocean Front Beach Front 2/2! Amazing! Property 12: Ocean Front Beach Front 2/2! Amazing! Property 17: Ocean Front Paradise! 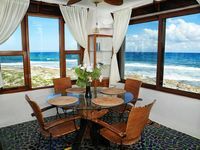 $150/Night Bahia Delfin! Property 20: Cozy condo with full kitchen, balcony & shared pool - walk to the beach! Property 24: Beautiful family condo with full kitchen and free WiFi - steps from the beach! Property 28: Save 15% off the one day rate when you book 28 days or more! Property 32: Welcome To The Best Views In Rocky Point! NEWLY REMODELED Cozy Retreat just walking distance from the JW Marriott! Property 34: NEWLY REMODELED Cozy Retreat just walking distance from the JW Marriott! GORGEOUS SEA & MOUNTAIN VIEWS. NEAR TOWN & BEACHES! FULLY FURNISHED 2 BR CONDO! Property 35: GORGEOUS SEA & MOUNTAIN VIEWS. NEAR TOWN & BEACHES! FULLY FURNISHED 2 BR CONDO! Location Location Location Condo with an exceptional Ocean view. Property 36: Location Location Location Condo with an exceptional Ocean view. Fully Furnished Two-Bedroom Condo in Boquete! Property 37: Fully Furnished Two-Bedroom Condo in Boquete! Fantastic bay view. Quiet, peaceful setting 4 blocks from malecon. Property 38: Fantastic bay view. Quiet, peaceful setting 4 blocks from malecon. Property 40: L@@k! Downtown Samara, only two blocks from the beach! Property 42: NEW LISTING! Newly renovated! GROUND FLOOR! PRIVATE YARD! Come and relax in our "Condo de Cortez" in Puerto Penasco (Rocky Point)!! Property 43: Come and relax in our "Condo de Cortez" in Puerto Penasco (Rocky Point)!! Property 44: Beautiful new one BR apt. Downtown, Steps to North beach! Had a great stay at Casa Missy. The location was perfect and although small the apartment had almost everything needed. (Could use a wine opener) We brought our own beach chairs and enjoyed the close proximity of Playa Sol and not much firthere to Norte. Hidalgo is on the next block so had no need for a golf cart. Loved the passcode locks so never needed to carry a key. Yes the music was loud from some nearby bars some nights but we closed everything up including our bedroom door and it wasn&rsquo;t too bad. A/c in the bedroom was great and wifi was fairly consistent. The sofa could use a new cover as there was what appeared to be a cigarette burn on it and water pressure wasn&rsquo;t the greatest but how can you complain for the price and location. We were very comfortable there and luckily it was open for a few extra days when we decided to extend our vacation. Reginald was amazing with his timely responses whenever we had a question. Would not hesitate to stay again.